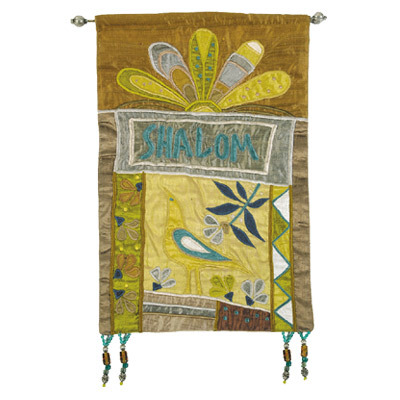 Shalom - Gold Wall Hanging In English CAT# SE-2. 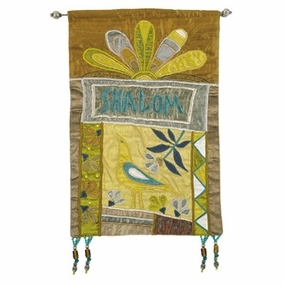 The wall hanging designs in raw silk are appliqu?d and attached with embroidery. The fringes are made from glass and metal beads. The mounting rod is made from brass pipe with brass finials. The hangings are mounted with two screws secured into the wall under the rod. Size: 12" x 18"